If you want to keep your Easy Digital Downloads customer accounts safe and more secure, we've got the plugin you're looking for. Say hello to Strong Passwords - EDD. Ensuring your customers create solid passwords is more important now than ever before, and our plugin makes it easy for you to achieve that. Strong Passwords in action in the EDD registration form. Strong Passwords for Easy Digital Downloads comes with a tonne of customisations, including the design, colours, text, and the strength of passwords you want. It uses the fantastic and open source zxcvbn library from Dropbox, which means you can trust that it works. 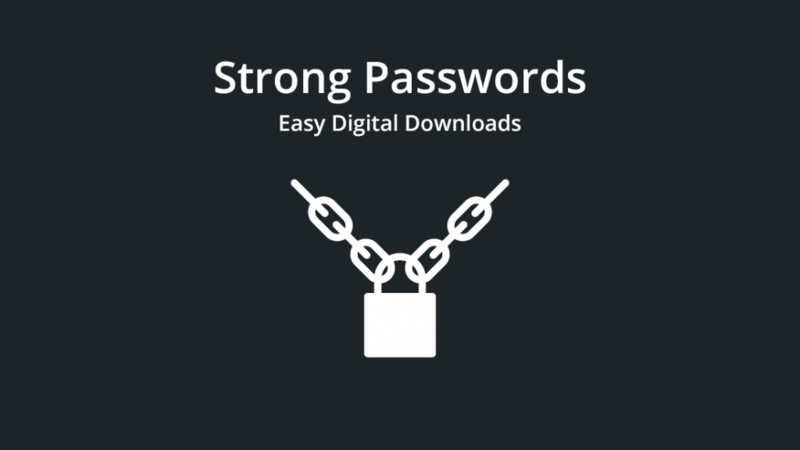 Get your copy of Strong Passwords for Easy Digital Downloads today and save 10% off when you use discount code SONE10 at checkout. What are you waiting for?